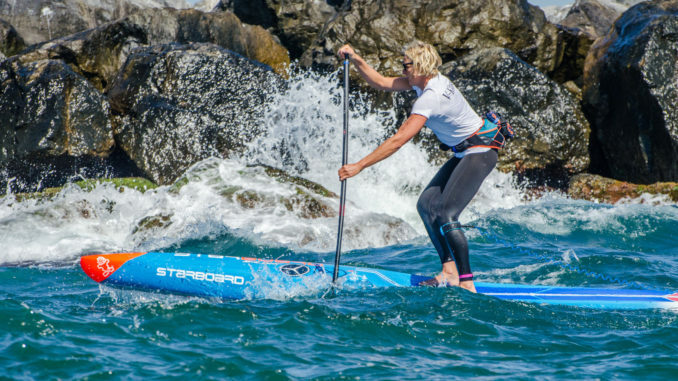 WRIGHTSVILLE BEACH, N.C., March 12, 2019 /PRNewswire/ — Germany’s Sonni Hönscheid, winner of the women’s Paddle League World Title in 2018, returns to North Carolina April 24-28 to defend her Carolina Cup Championship. Organized by the Wrightsville Beach Paddle Club and sanctioned by the World Paddle Association (WPA), the 9thannual Carolina Cup is the first SUP race of the 2019 Qualifier Series, a newly formed partnership by the WPA and Association of Paddle-surf Professionals (APP). Competitors in the Carolina Cup have the opportunity to earn points to qualify for the APP World Tour and World Championship.